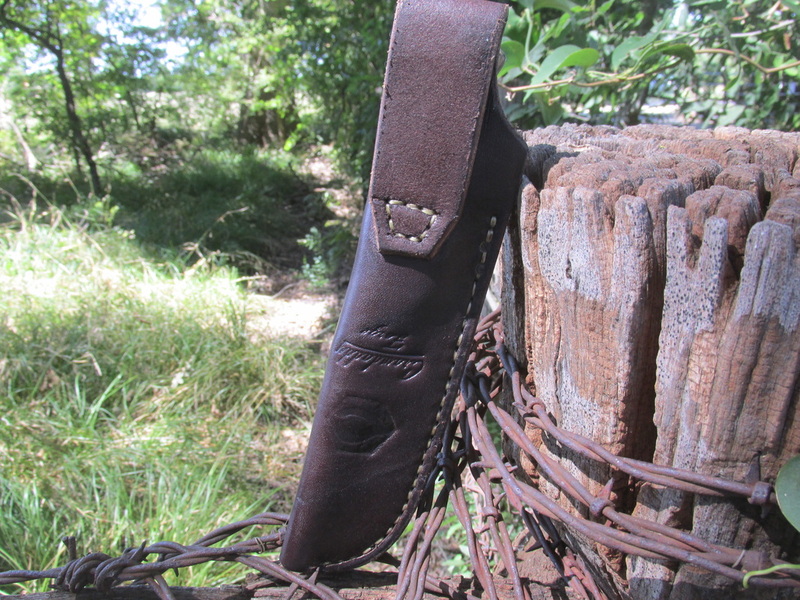 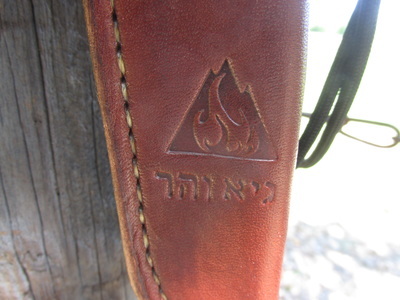 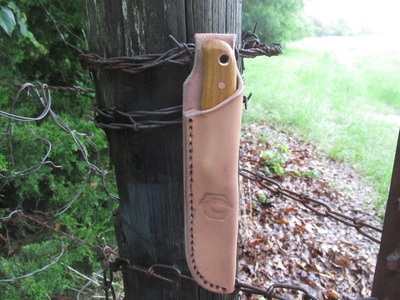 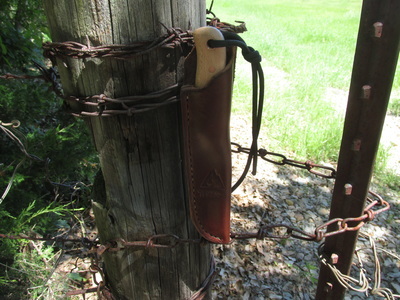 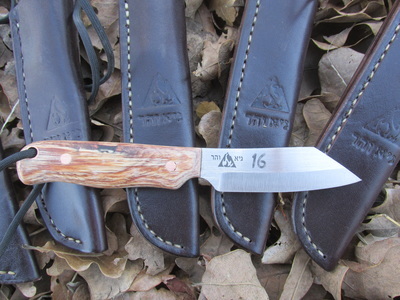 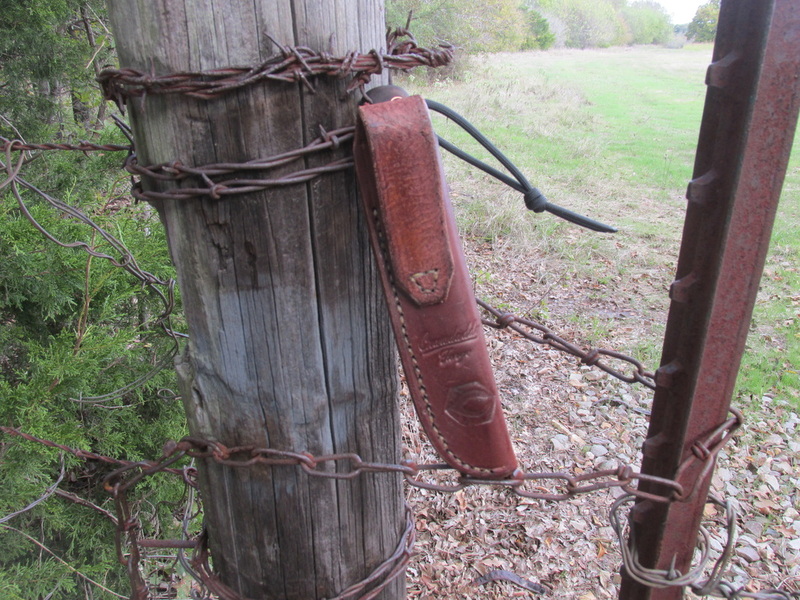 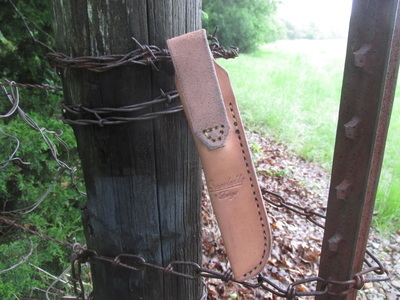 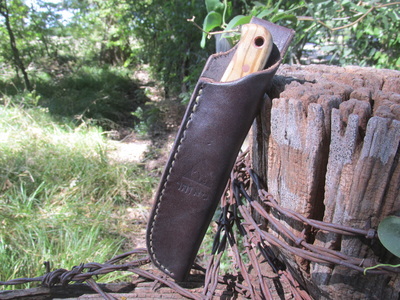 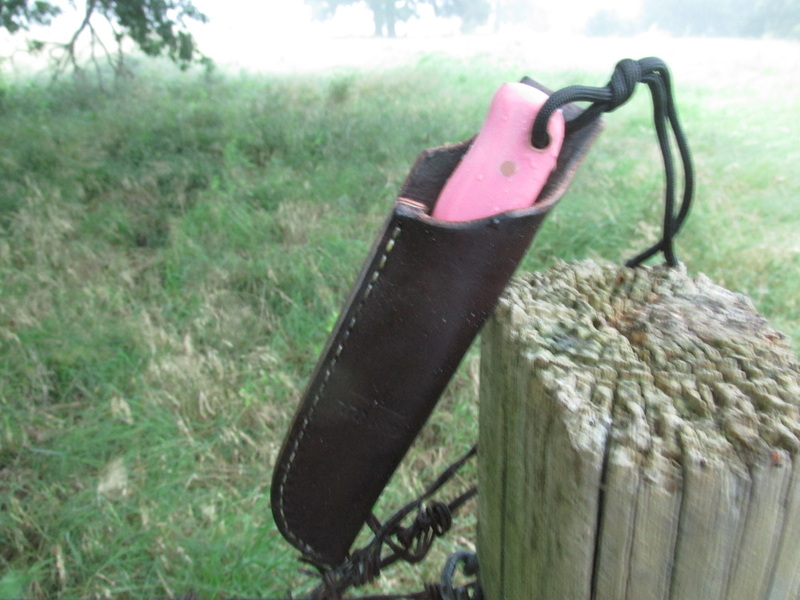 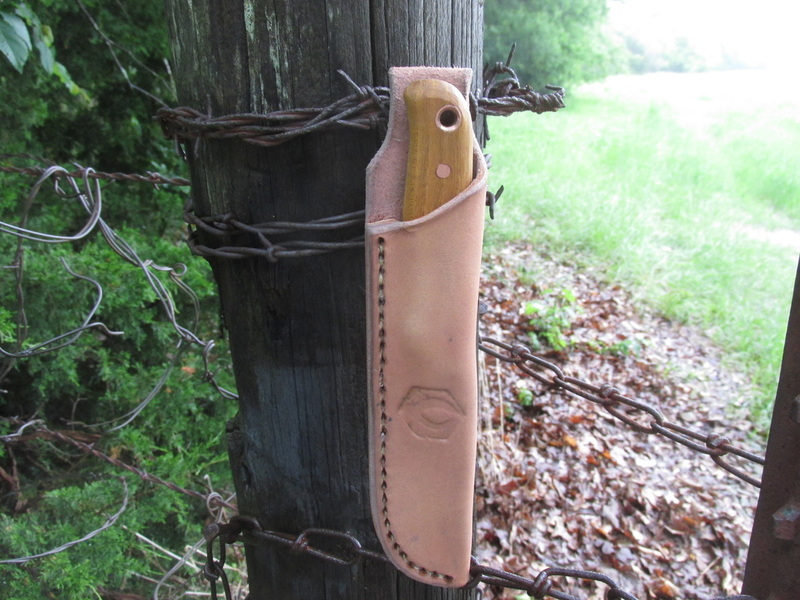 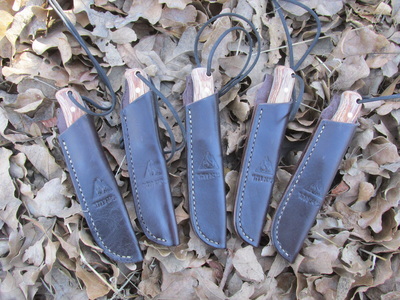 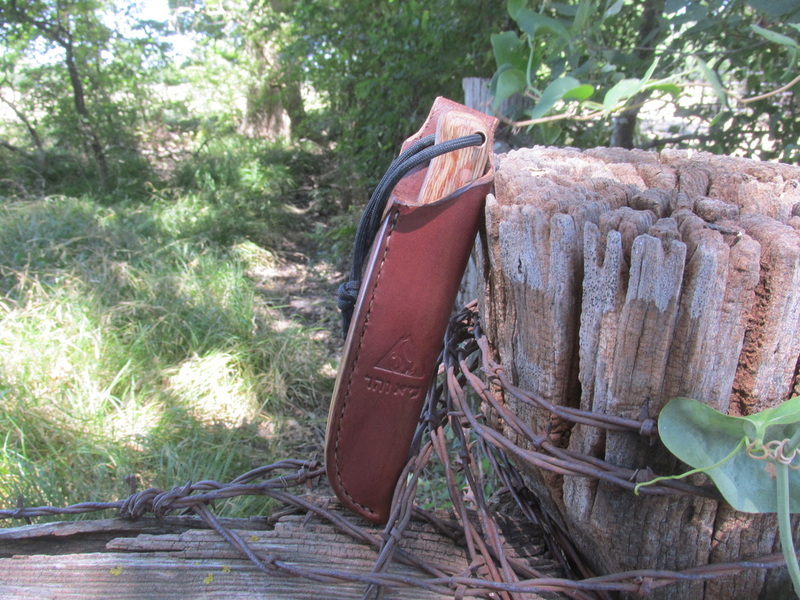 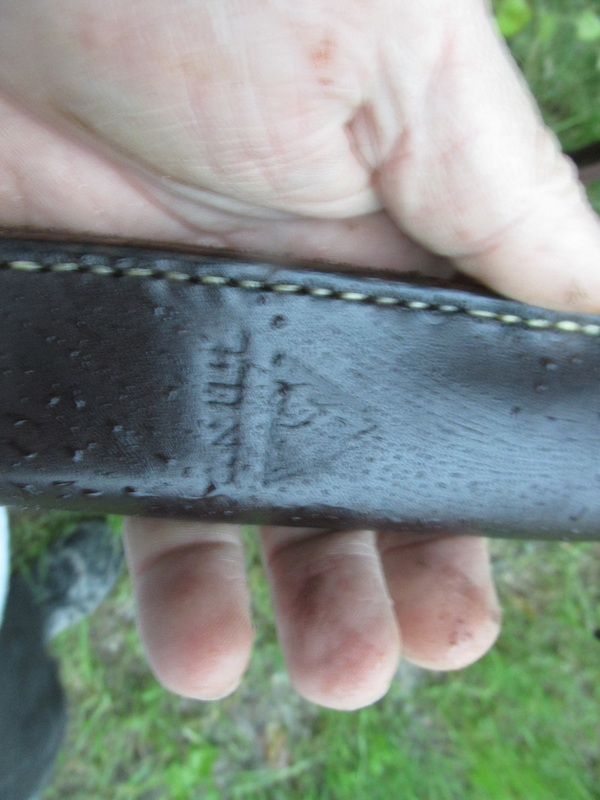 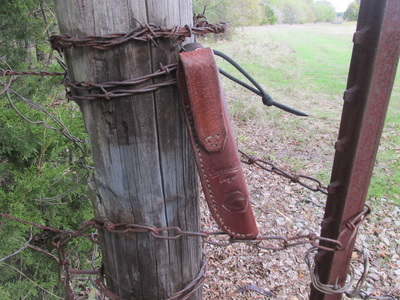 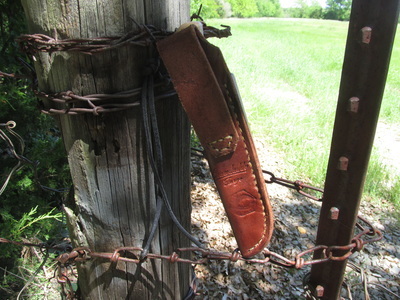 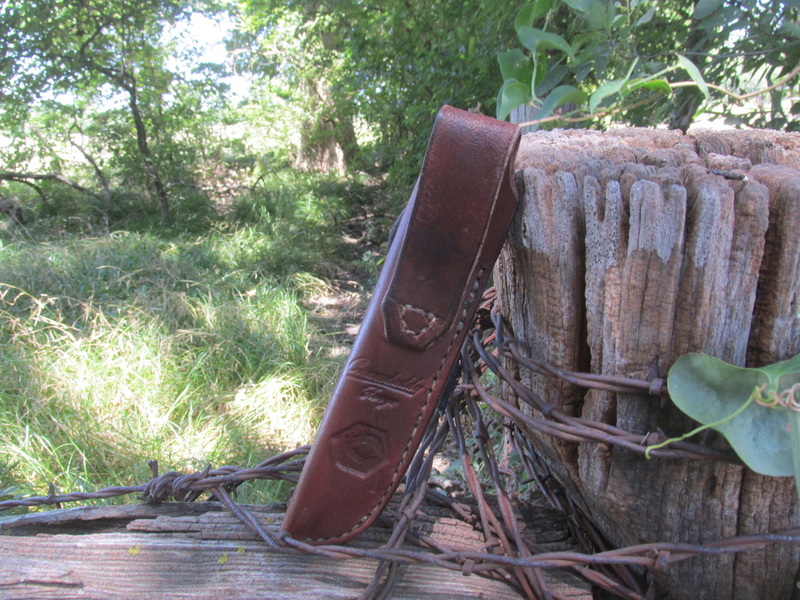 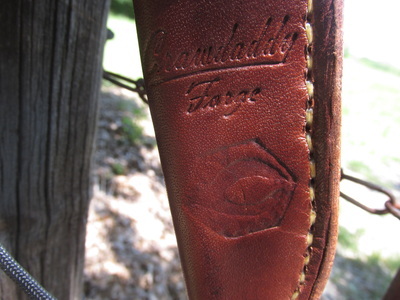 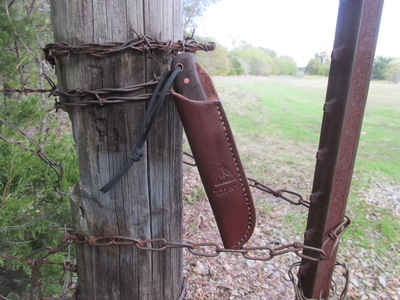 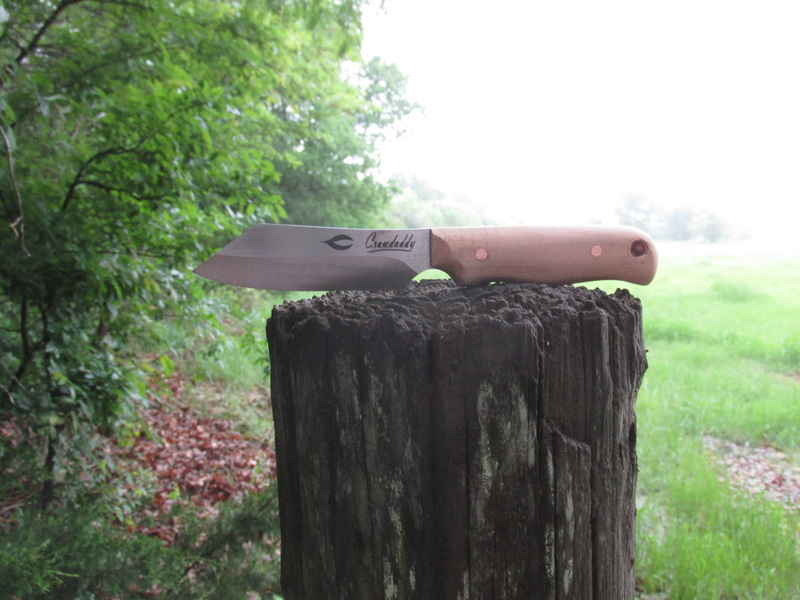 This knife / sheath is my exclusive for my friend Guy Seroussi. 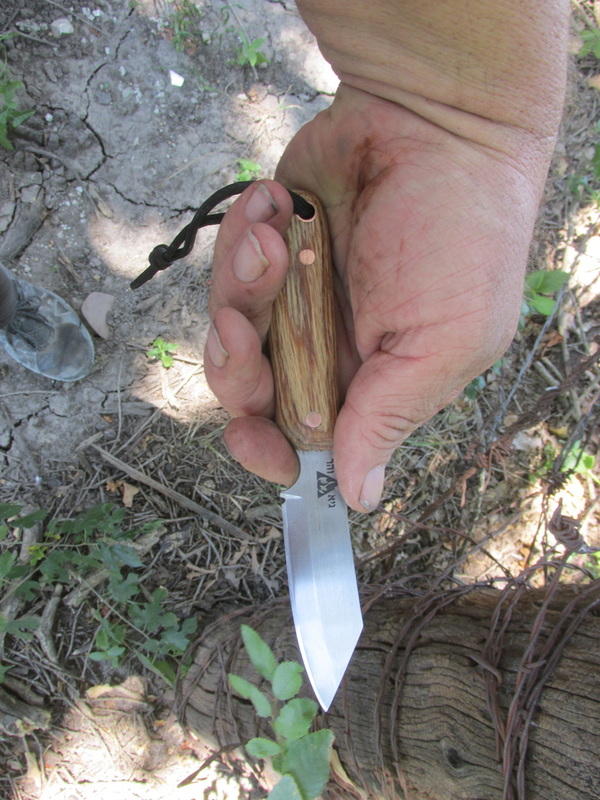 Guy has a bush-crafting and survival training school in Israel. 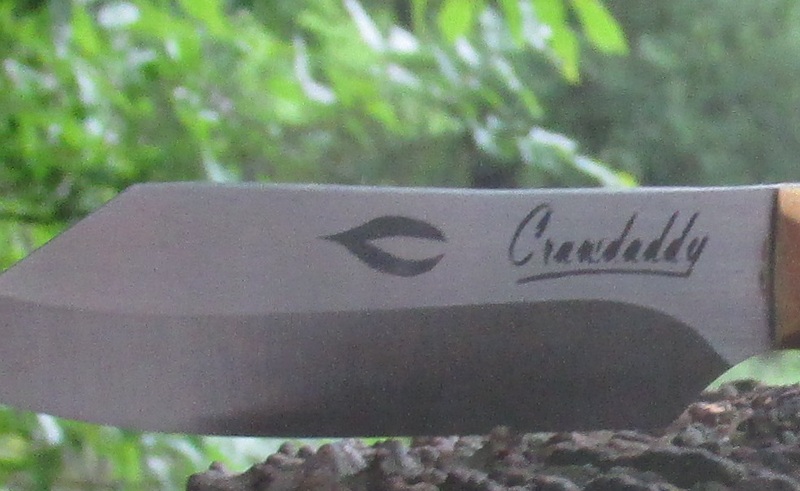 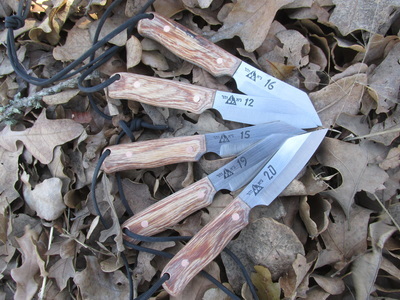 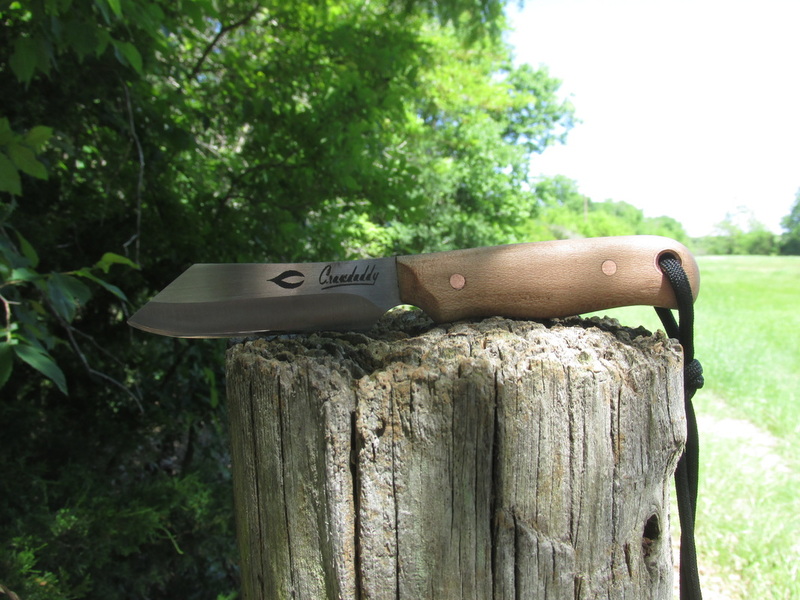 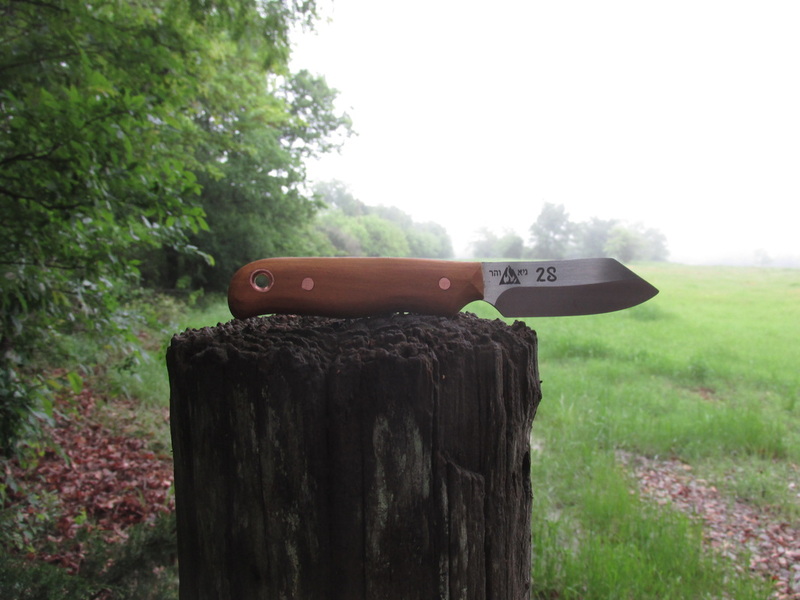 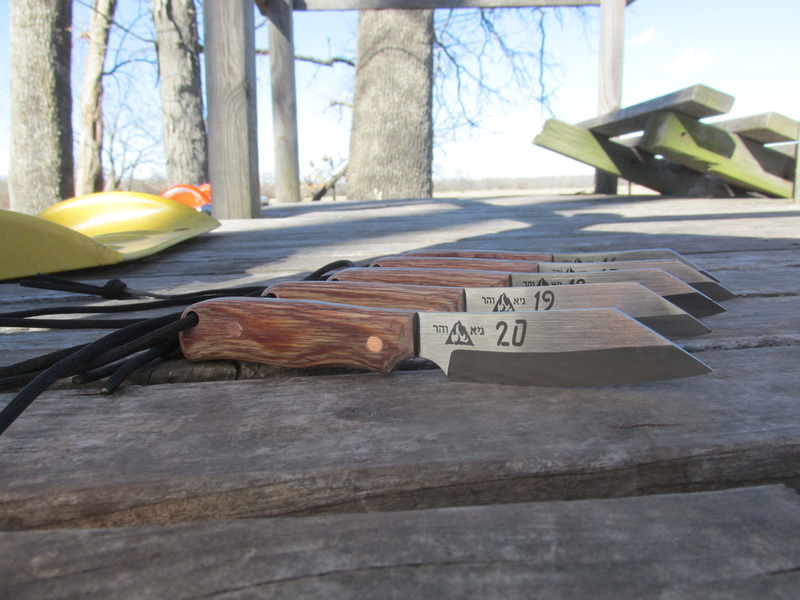 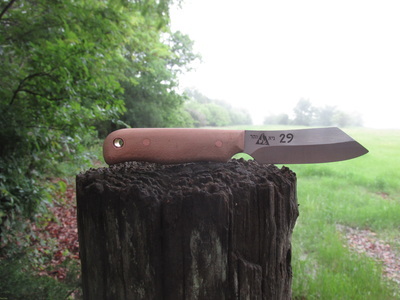 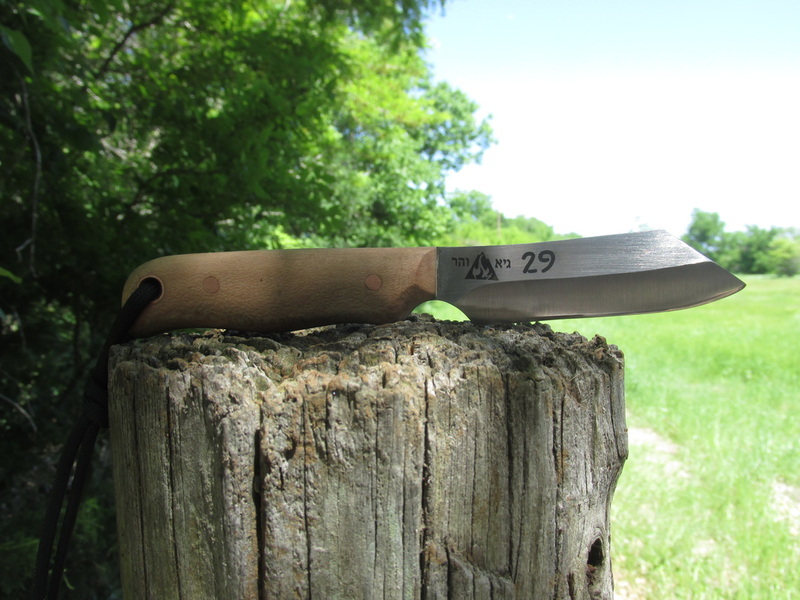 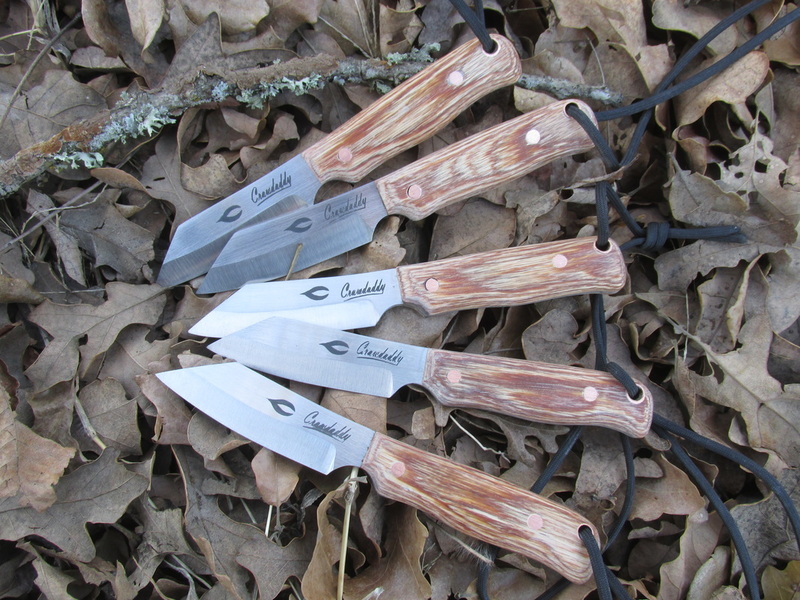 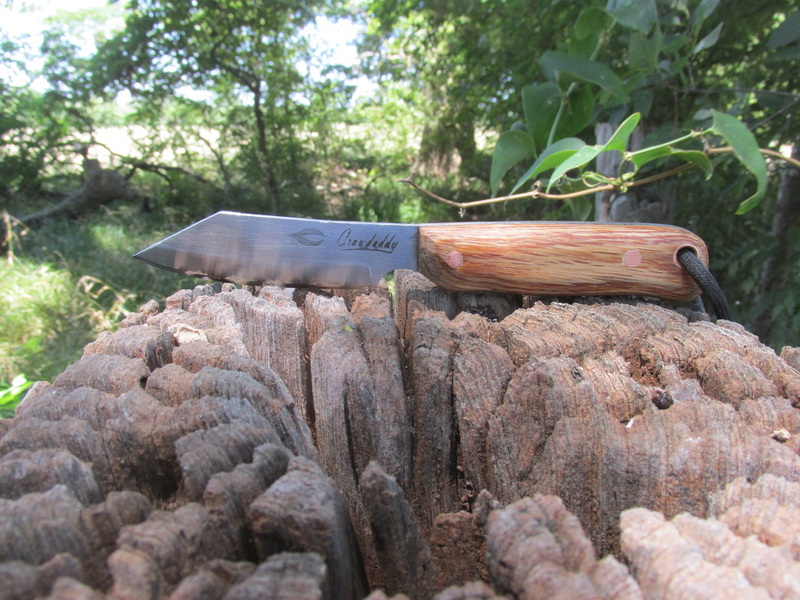 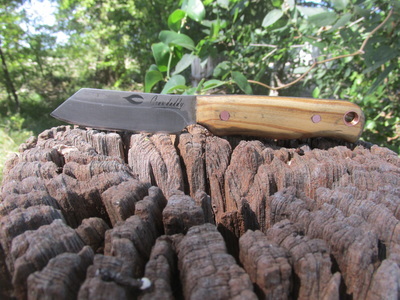 The design of this knife is intended for use in a Mediterranean climate, small shrubs, small trees, etc. 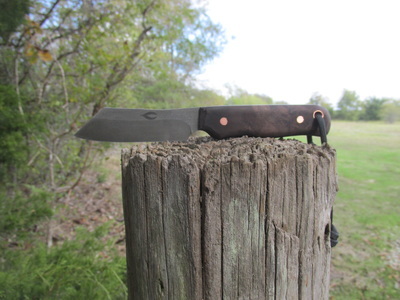 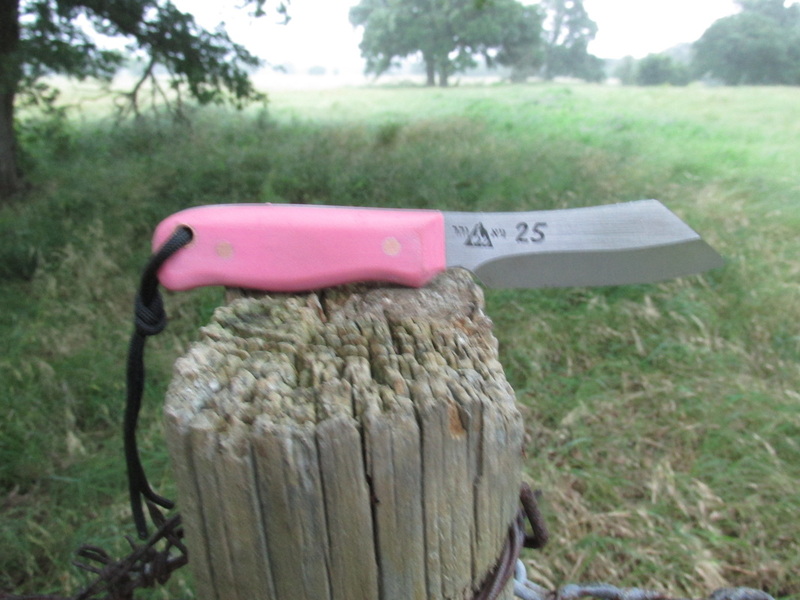 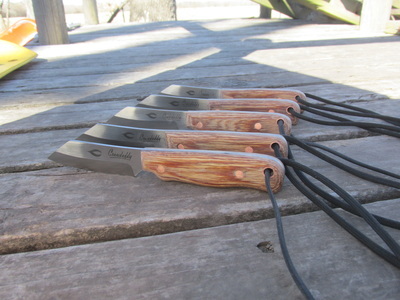 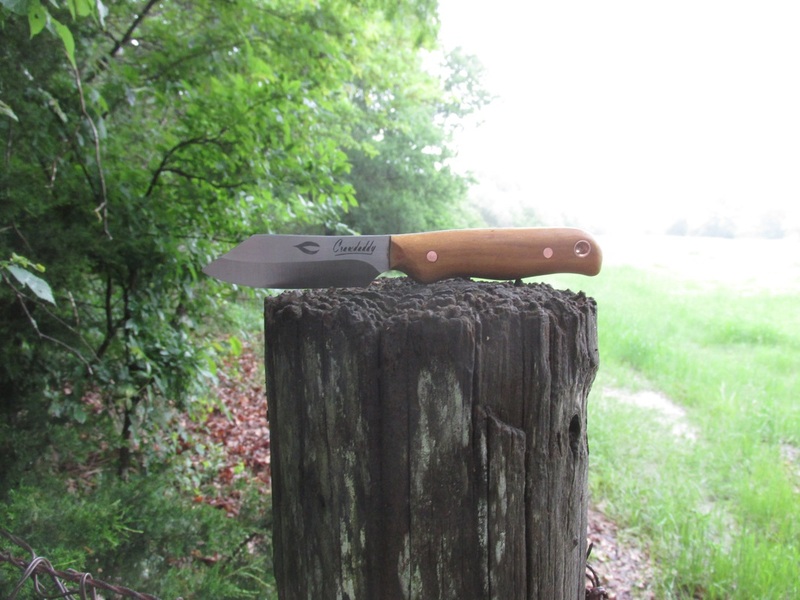 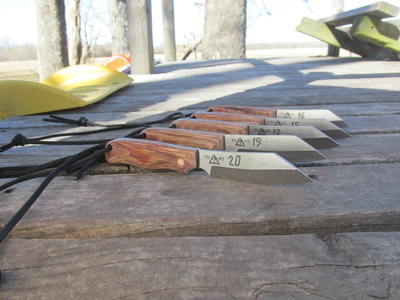 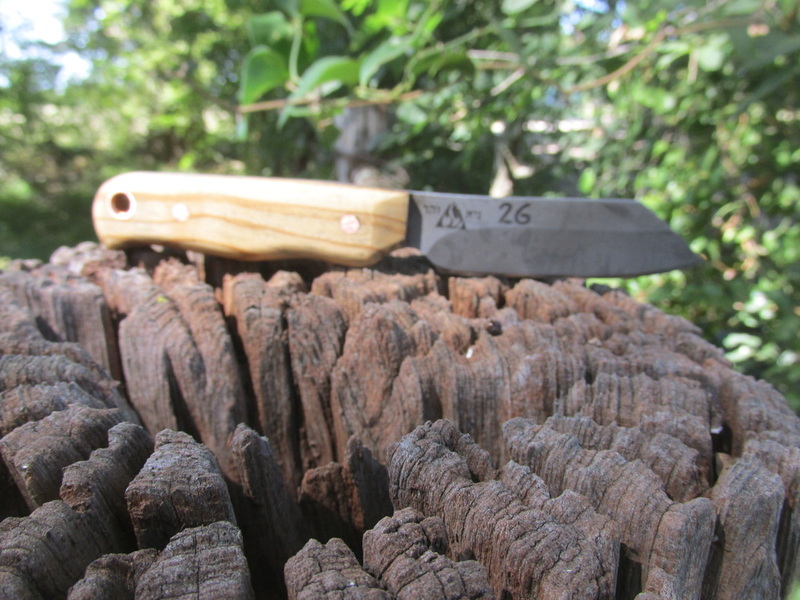 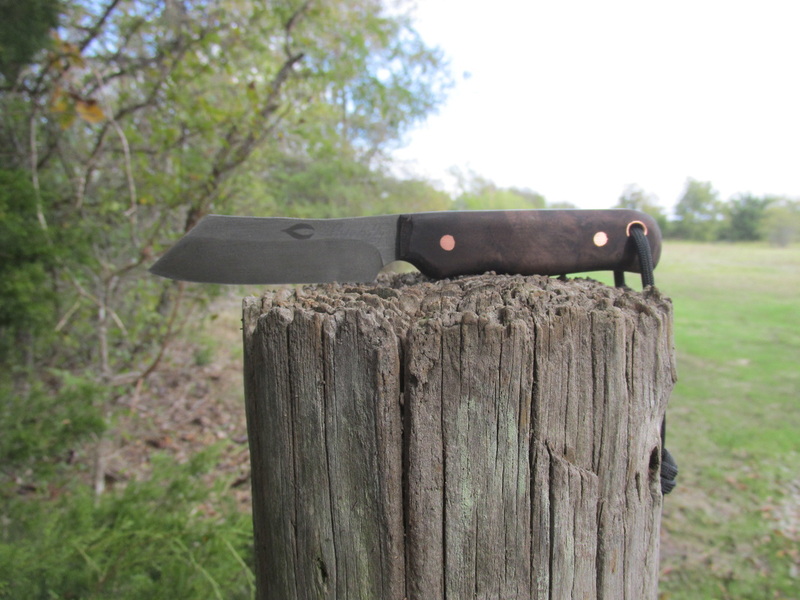 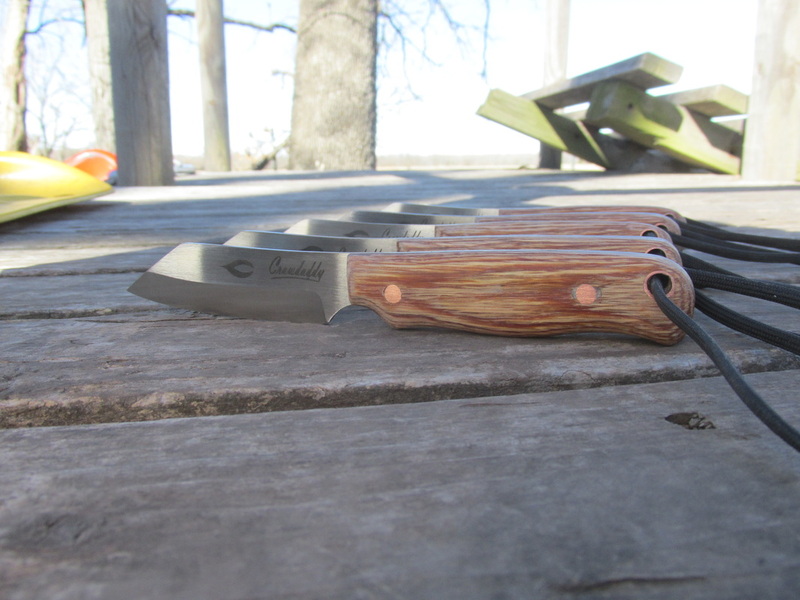 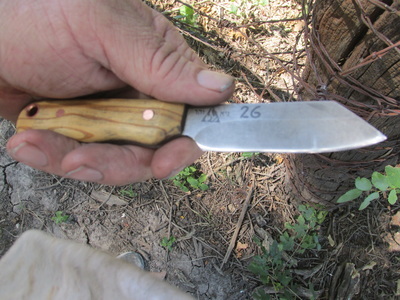 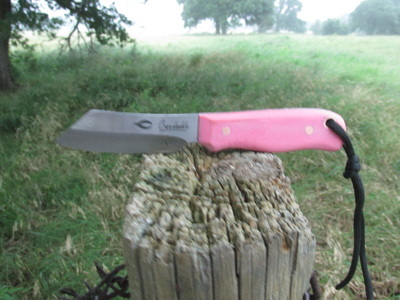 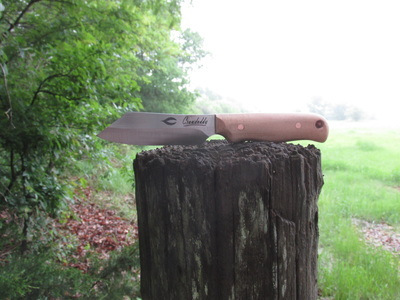 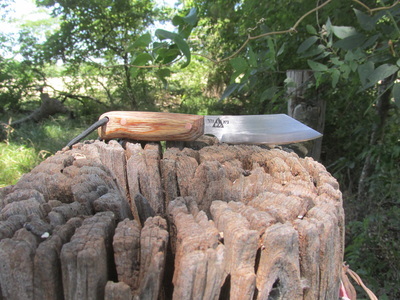 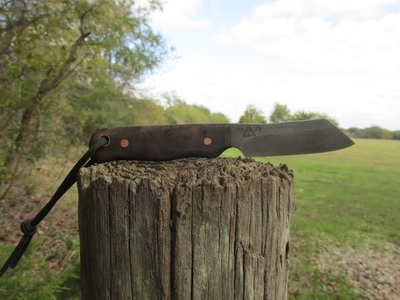 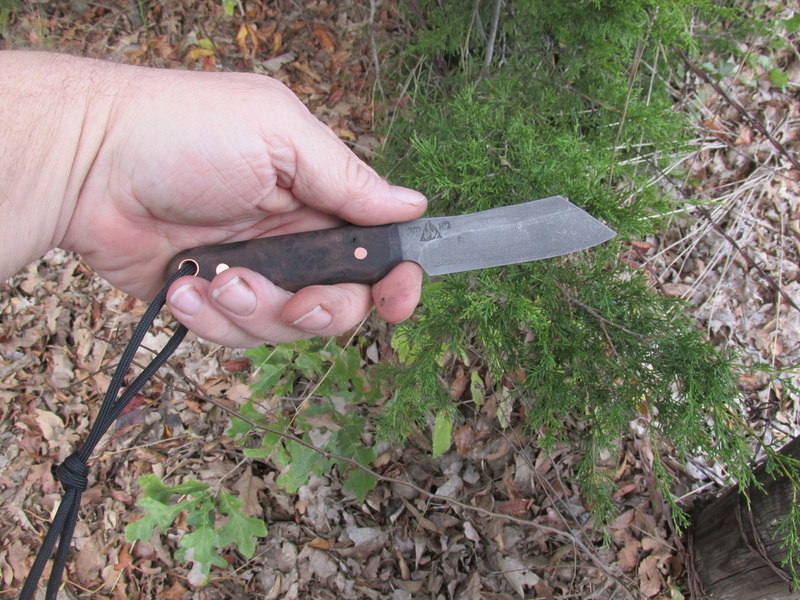 But can be used anywhere, it is a fun little knife to pack along.